Who goes to the same little cubicle day after day after day? Whose understanding of the world hasn’t changed for the past 20 years? The person who is afraid of the chaos? The person committed to personal growth? The person who brings light into dark places? 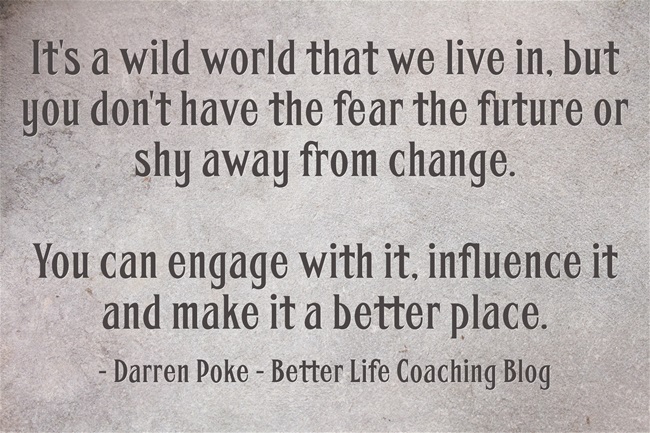 It’s a wild world that we live in, but you don’t have the fear the future or shy away from change. You can engage with it, influence it and make it a better place. Next post – Are You Counting the Days, Or Making the Days Count?